Microsoft's Windows chief Steven Sinofsky has insisted that the radical Metro approach in Windows 8 does not sound the death knell for the traditional desktop or the humble mouse. Sinofsky, speaking to TechRadar at the Build developers' conference, pointed out that 'precision' is still a major factor in our computing lives, and that this will keep traditions going strong. "We don't think the desktop is some old place you never want to go like the penalty box, said Sinofsky." It's a perfectly reasonable place to go for precision." 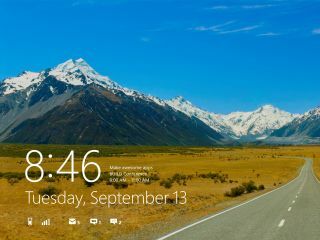 Windows 8 is attempting to unify very different devices, but Sinofsky believes that it is possible to scale an operating system even if people are switching between mouse and finger as a pointing device. "There are new form factors like tablets but there are desktops and multi-monitor systems, the whole range of possibilities," he said. "We envision an operating system that scales from small form factor keyboard-less tablets all the way up to the high end. It's an incredibly bold vision and one we're executing on. "And the reason we made this made bold bet saying 'let's build on Windows' is that we looked around and we don't see these apps being replaced by something else. "The technology that produced these is not an accident; people have problems to solve and they developed tools to solve those problems. "Other tools come along don't necessarily solve those problems. As screens get bigger and bigger, pixels get denser; and mice and pointing devices get more important. Your finger has a resolution of maybe 40dpi, compared to a mouse with 1200dpi." So, rest easy mouse and desktop lovers, your time is not up just yet.